Much of the news on Wall Street lately has centered on the turmoil surrounding Wells Fargo, one of the county’s largest banks, as it deals with a massive scandal that involved opening hundreds of thousands of sham deposit and credit card accounts over many years without the knowledge of their customers. The scale of these deceptive practices was apparently nationwide and encouraged by the bank’s top management in an effort to meet sales targets. In the wake of this debacle, the bank has fired 5,300 employees and eliminated sales goals in its retail banking division. 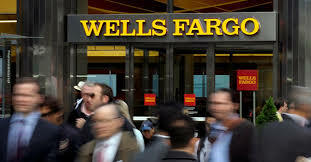 The question of how Wells Fargo was able to perpetuate this type of fraud across the country for many years without being found out leads to a troubling discovery- because its contract provisions contained strict “forced arbitration” clauses, individual consumers were prohibited from suing over the fraudulent practices in court and could not band together in the form of a class action. Instead, any disputes over the harms caused by the bank’s operations were handled behind closed doors by a private arbitrator on a one-on-one basis. We are starting to see the rise of these mandatory arbitration clauses in all types of settings. This instance gives us a perfect example of why robbing individual citizens of their basic right to trial by jury is an overwhelmingly a bad idea. When the damages suffered on an individual basis are comparatively small (though the total amount of harm done may be substantial), it doesn’t make financial sense for one person to bring a single claim against a corporate giant. Thus, in a situation like this, there is no way to hold large companies accountable for the harms done to large numbers of consumers. In addition, these arbitration clauses often give the very companies causing the problem authority to pick the arbitrator, and there is no right to appeal the decision as you could in a courtroom. Though it gets a bad rap most of the time, litigation in our court system does serve an important role in policing bad behavior and corporate greed when government regulation just doesn’t do enough. If lawsuits had been allowed to proceed against Wells Fargo in our jury system, this scandal could have been brought to light and stopped years ago.